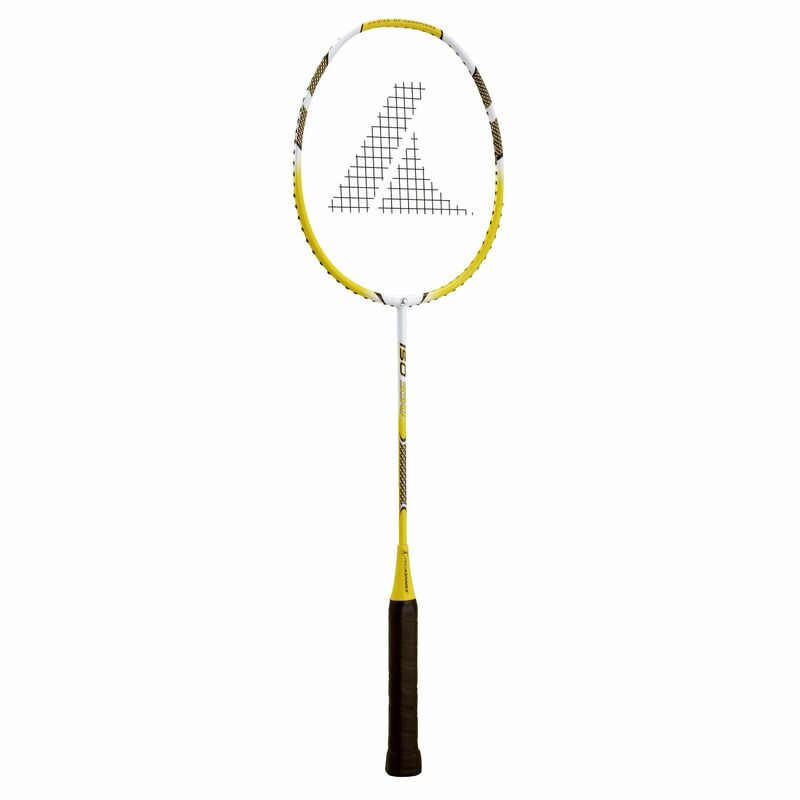 The ProKennex Isocarbon 350 is an entry level badminton racket that comprises of an aluminium head, a graphite T piece and a steel shaft. This 26.2” (665mm) long racket weighs 110g (3.9oz) and has a traditional oval head shape with a small but more concentrated sweet spot that could provide the player with more power. This one-piece racket is supplied strung with a nylon string and has been head light balanced to be easier to manoeuvre by novice players. 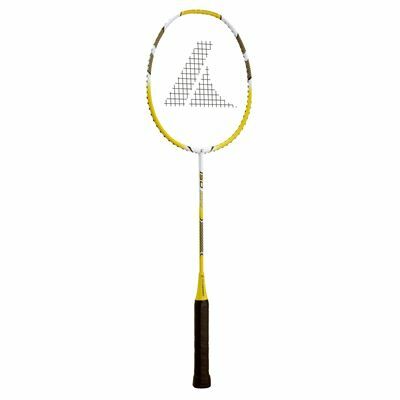 for submitting product review about ProKennex Isocarbon 350 Badminton Racket.